Copy, cut out, and assemble, using a paper lunch bag. 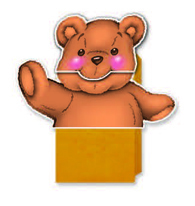 Teddy can greet and interact with children throughout each teaching session. Copy onto card stock, cut out, and mount to a ruler. 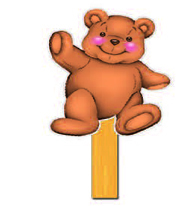 Use this fun stick puppet to tell children how much you love God—and how much He loves them! Copy, cut out, and assemble, using a paper lunch bag. 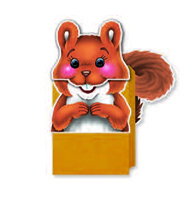 Let Scamper greet the children, sing with them, and act out the extra hour puppet story each week. Copy onto card stock, cut out, and mount to a ruler. 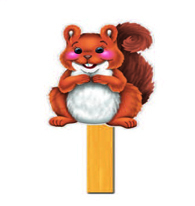 Scamper can make announcements, lead in cleanup, and encourage the children in your class. Copy, cut out, and assemble, using a paper lunch bag. Scout can play with and encourage the children. 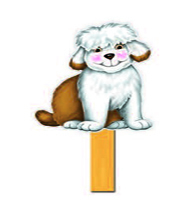 Use the puppet as you tell the extra hour puppet story included in each week’s lesson. Copy onto card stock, cut out, and mount to a ruler. 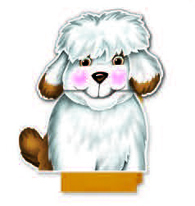 Have fun with Scout as he helps you lead children in learning about their great and loving God.